It is an almost universal belief with the equcated people of modern times that the world was created only a few thousand years ago, and that the oldest civilization cannot date farther back than, say, twenty-five thousand years before Christ. This assumption would seem to be nost absurd to those who have entered into the spirit of the ancient Indian culture, unbiassed by any judgment passed by modern scholars on the antiquity of such a culture. The idea of the absolute creation of the Universe out of nothing, at a particular point of time, is more than an ordinary human being can conceive, in as much as it involves an attribution to God of such human characteristics as desire, want, and striving for the attainment of an wished for object, and thus reduces him to the level of an imperfect and human being. We are, therefore, justified in assuming, without entering upon a philosophical discussion of the subject, that the world is eternal with God, and creation means nothing more than the re-construction and re-moulding of matter, which, to a certain extent, takes place every moment. If the world is eternal-and it cannot be otherwise-what justification there is for the assumption that the civilization of which we can' have only a glimpse, through records of a few thousand years only, is the only civilization known to the world? Is it not quite reasonable to assume that an infinite number of movements of civilization came upon and passed away from the face of the earth? We have, of course, no history of these civilizations, and naturally so. Can history have a record or what takes place during an infinite number of years? Modern people have compiled a history for the last few centuries only. Let them proceed in their present method of compilation for a few thousand years more, and then they would find the4isk to be hopeless. It is physically impossible for a human being to go through a history which contains, a detailed survey of all that takes place during, say, 25 thousand years, not to speak of a longer period. We may, therefore, safely assume that the idea of keeping a chronological and detailed history of the world must be given up after, say, thirty thousand years, if not earlier. What would our historians do then? 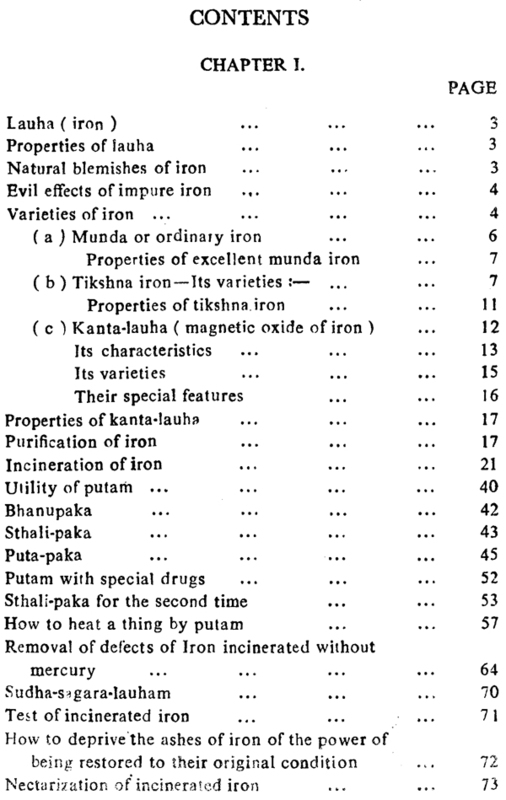 They would, in all probability, cull out of the past history some of the most important facts, and arrange them in a method which was followed by the authors of the Indian Puranas (i. e. ancient records). 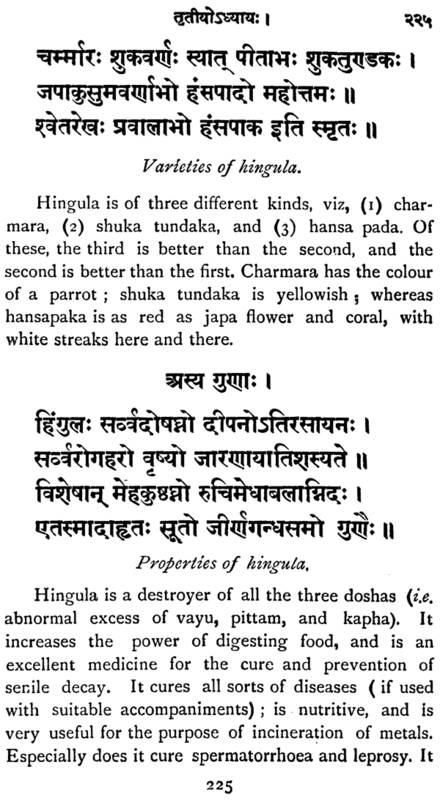 The Puranas are nothing but records of kings, sages, and important events that took place, in some cases, many thousands of years apart from one another. 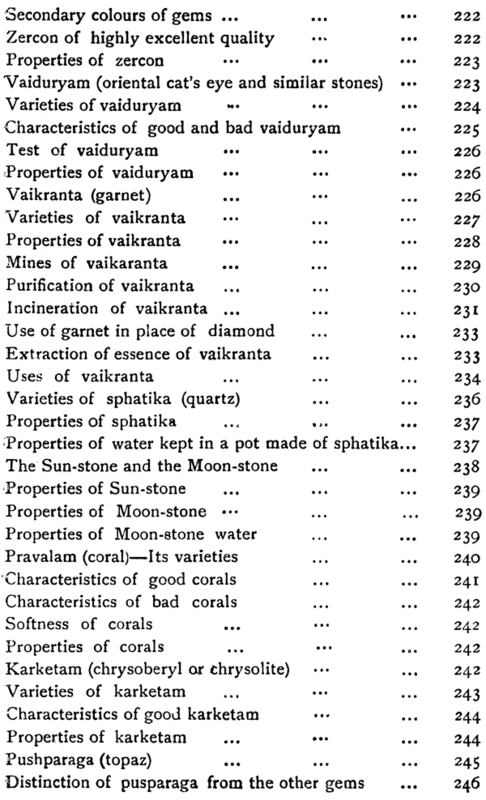 These records have been retained in the Puranas only on account of their moral, social, and religious significance. 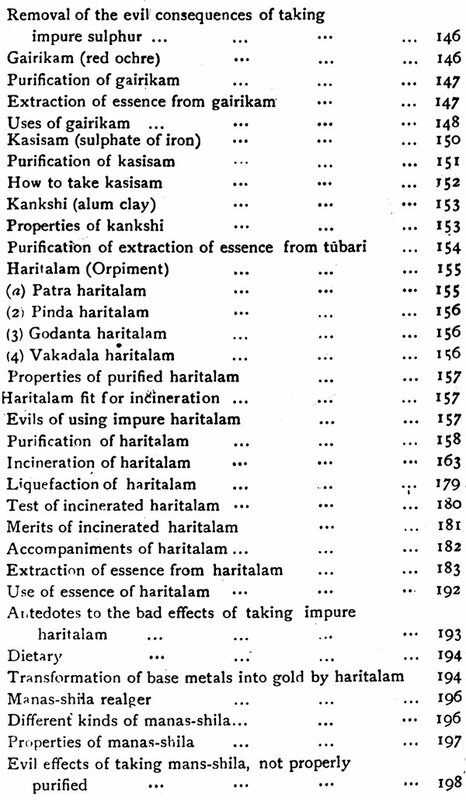 The ancient Indians realized the futility of keeping a detailed history of a world which is eternal and of their own civilization which, we have every reason to believe, was the most ancient known to the modern world, and had therefore to record ancient events of especial importance in a way which differs from the method followed by the modern historians. 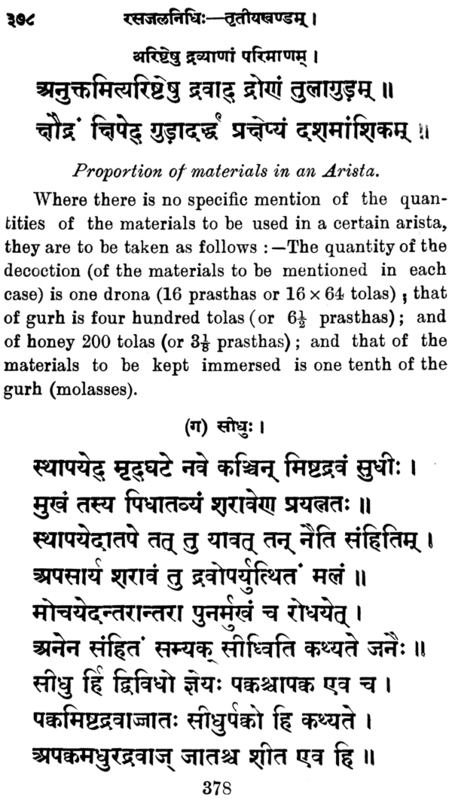 That being so, we cannot discard the authenticity of the Puranas and consider them as a collection of mythical legends and anecdotes only. 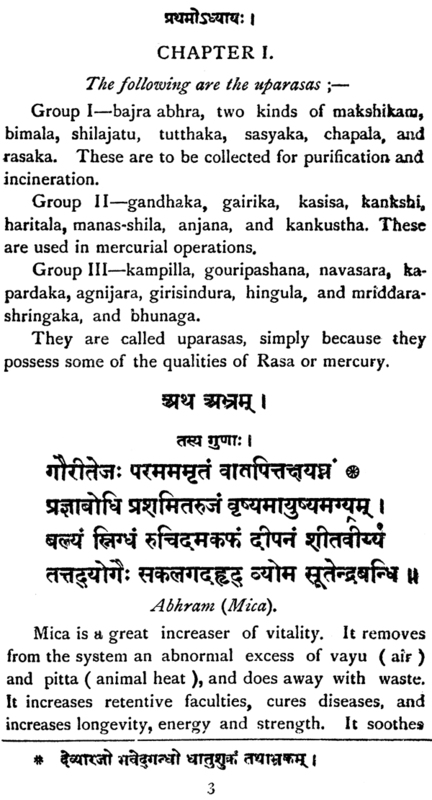 That the Puranas are not based on a mere fiction would find corroboration from independent sources. As for instance, I may refer to the 'phenomenon of Phallic Worship, the introduction of which into Europe, according to European tradition and mythology, is attributed to Bacche or Bacchus of Greek mythology. Now Bacche or Bacchus, according to Assyrian mythology, was an Indian (see Phallism in Encyclopedia of Ethics and Religion), the event of whose annual return from India used to be celebrated with a great festival on Mount Ymolus in Lydia. 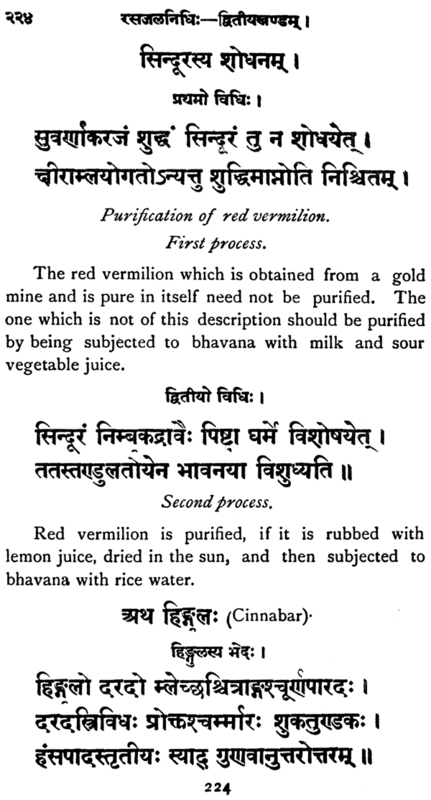 The question which now presents itself is, do we find any reference to this Bacche in our Puranas? Yes we do. In Bamana Puranam (chapter VI) we are told that one of the earliest advocates of Phallic Worship was Baka, king of "Creetha” (Crete? 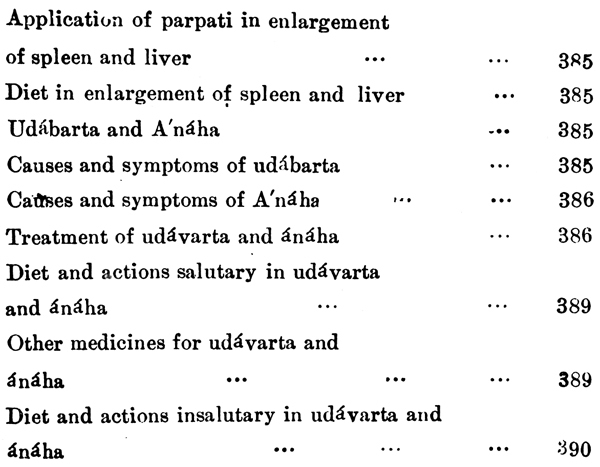 ), who was an Indian Vaisya by caste, and was initiated into Phallism by his Indian preceptor, the sage Apa-stanba. Here, we have got, I think, data sufficient to warrant the identification of the Greek or Assyrian "Indian Bacchus" with Baka of the Bamana Puranam. 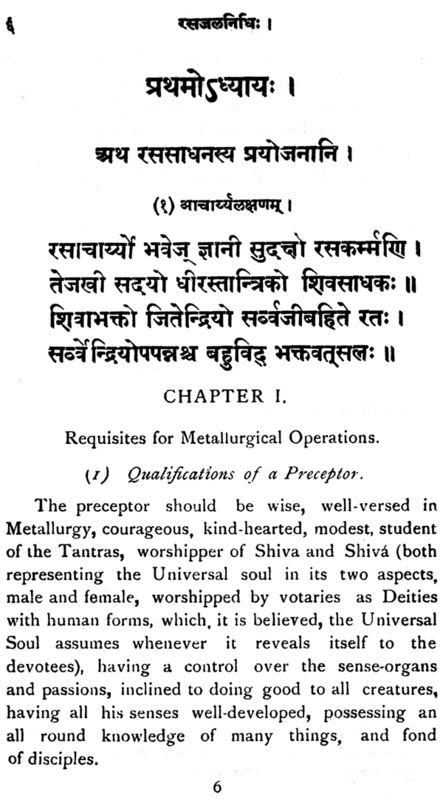 'Be that what it may, we look upon the Puranas as having a historic basis. They are, with the Vedas and the Tantras, the most ancient literature of the Indians that have been preserved, after countless acts of destruction of books and libraries by ignorant fanatics. 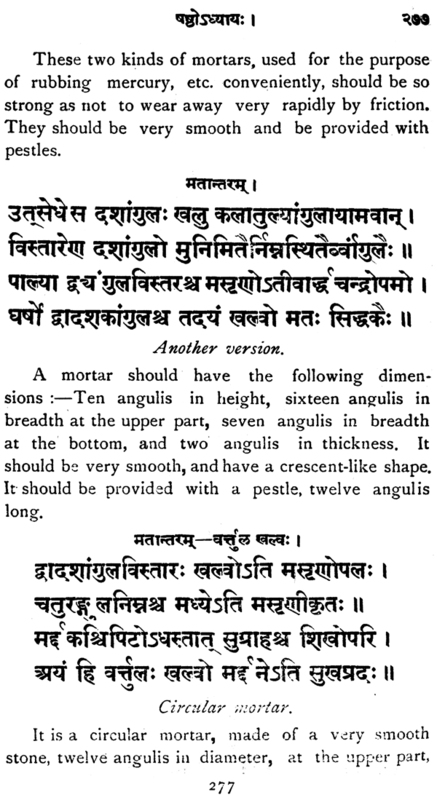 The comparative modernness of the language in which the Puranas and the Tantras written does 110t justify the conclusion that they are of a comparatively modern origin, in as much as the language of the Tantras and the Puranas have been, for obvious reasons, revised from time to time, and new facts introduced into this group of literature. 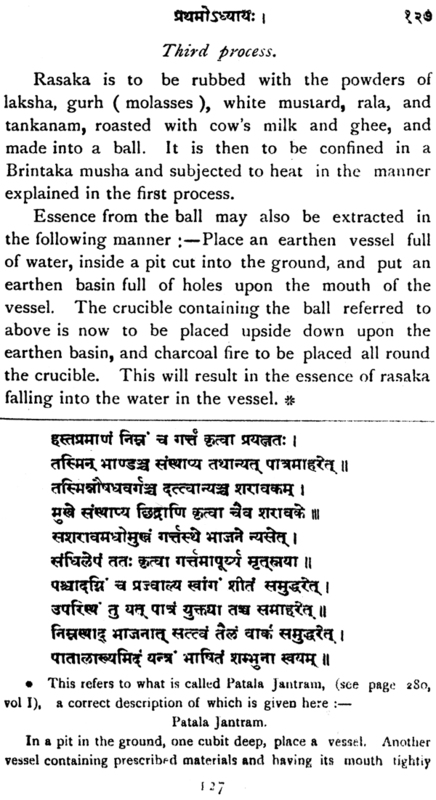 According to the Puranas, the world is eternal, creation being taken to mean periodical reconstruction after dissolution. 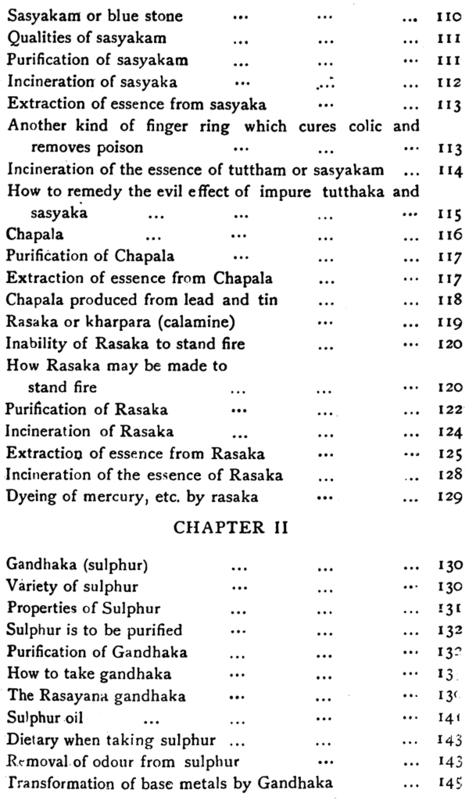 The age of the present Kalpa, i.e. of the world from the time of its last reconstruction to the current year is 1955885027 years. This is a figure which is based upon a tradition, as trans- mitted from generation to generation, through our science, philosophy, history, and scriptures. I bow down to the Greatest of the great, at the movements of whose blissful eyes the universe comes into being, undergoes dissolution, and is frequently absorbed in Himself-I bow down to Him who has conquered death, has been maintaining the universe from all eternity, and is the source of all greatness and magnanimity. 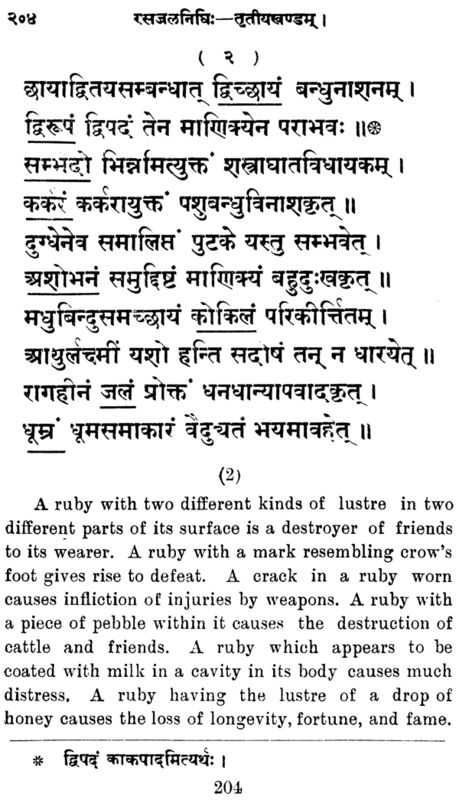 This salutary book, entitled Rasajalanidhi (the ocean of Metallurgy), is compiled very carefully by me, Bhudeba, a Brahman by caste, and descendant of the great sage, Bharadwaja, who, actuated by the motive of doing good to the suffering. 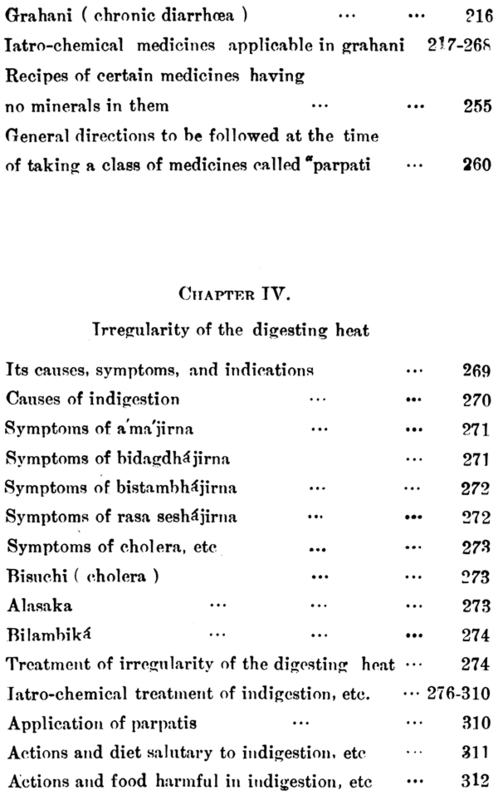 Humanity, brought down to Bharat (India), in the Treta ago (about five hundred thousand years ago), the science of medicine from the country of Swarga (a country corresponding to modern Mongolia-a region from which the forefathers of the Aryan Indians migrated gradually into the plains of India). For the fulfilment of all desires, I bow down to my parents, who are the sources of all bliss, and appear to me to be the parents of the universe itself. My father's name is Harilala Deba, and that of my mother is Nistarini Debi. I come of the Mukhopadhyaya (meaning, great preceptor) family, and am favoured by the three-eyed Deity God). 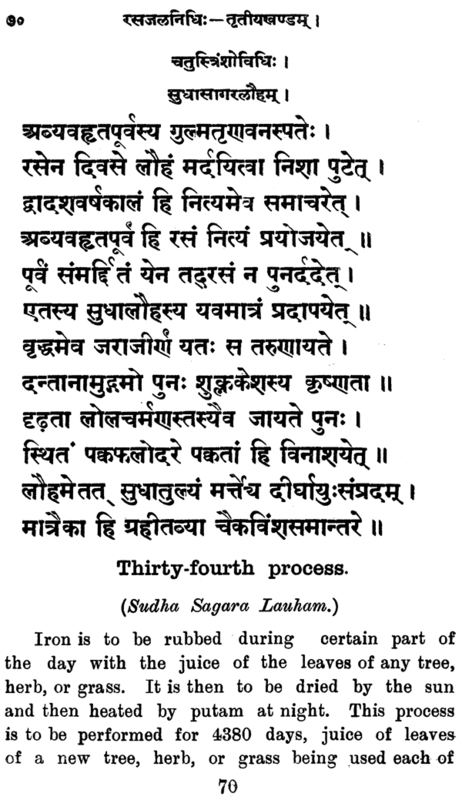 My parents are endowed with all good qualities, are descendants of the author of Naisadha Charitam (a well-known Sanskrit poem, composed by the great poet Sreeharsa, a savant from whom have descended all the persons bearing the family name of Mukhopadhyaya, or Mookerji, as it is generally written in English for the sake of brevity), and residents of a village, named Hastisala, situated on the banks of the river Maurakshi, in the ancient region of Gangarastra (modern Rarh) in Bengal. 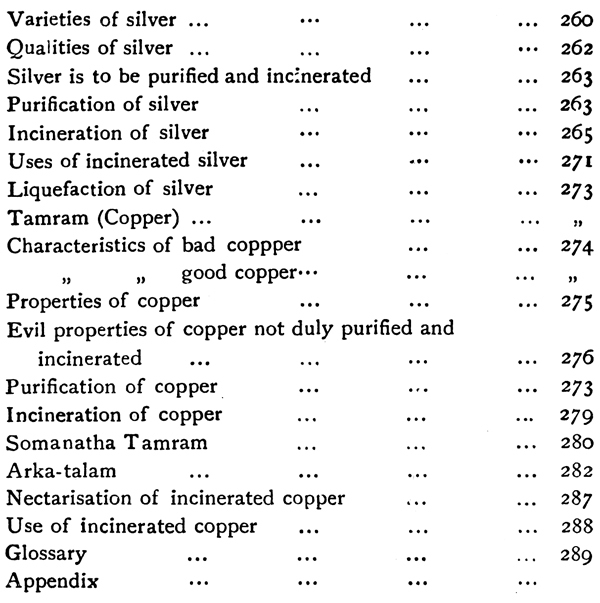 Metallurgy is a great science revealed to the world by God Himself at the commencement of the present Kalpa (a mundane period, followed and preceded by a dissolution of the universe-the present Kalpa commenced, according to Indian history. 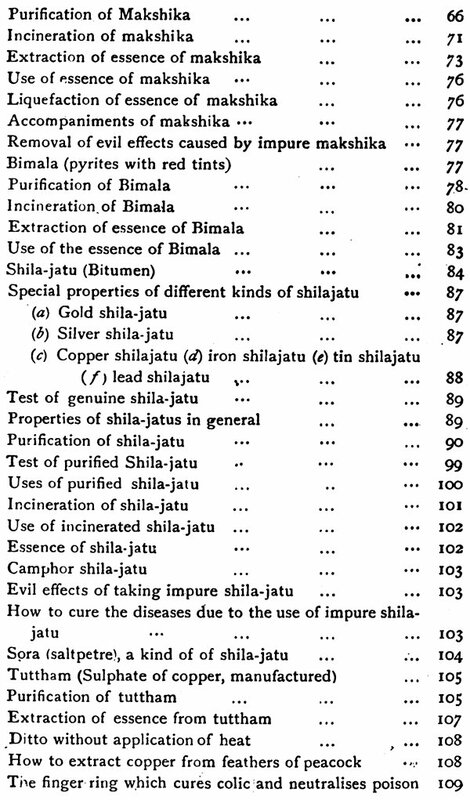 some 160,0000000 years back) It was introduced into India for the purpose of preventing desease and premature old age. 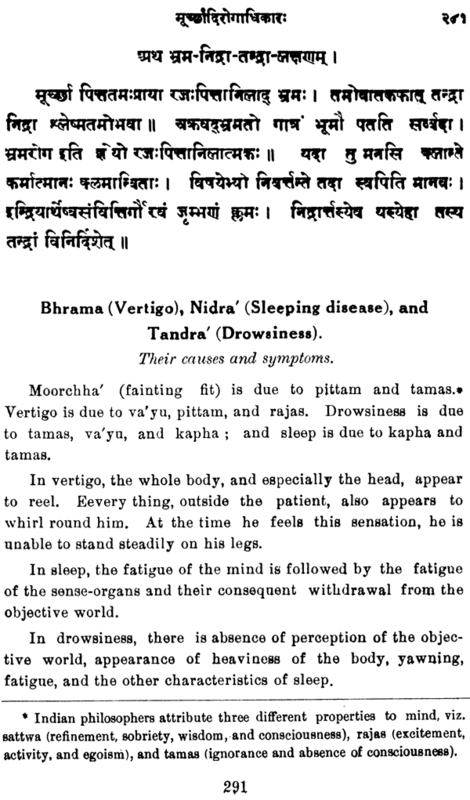 This science, which is the giver of all wished-for objects, is now in a moribund condition, and is no longer given attention to by kings, whether Indian or foreign. 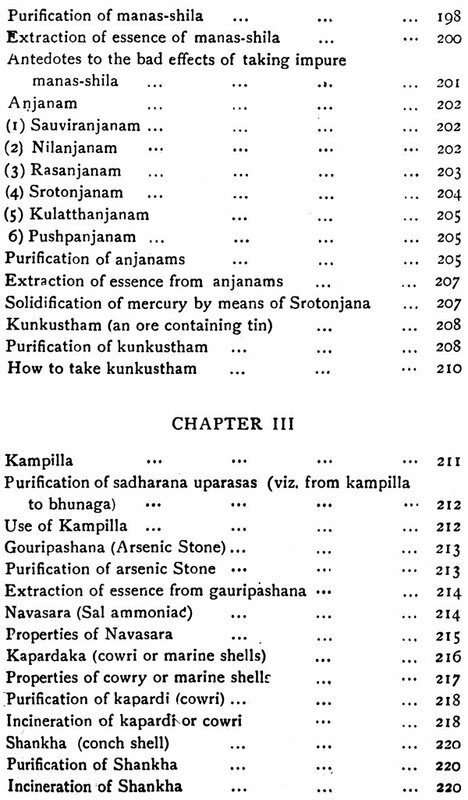 Numerous were the books written on Metallurgy and Chemistry by ancient Indian sages. 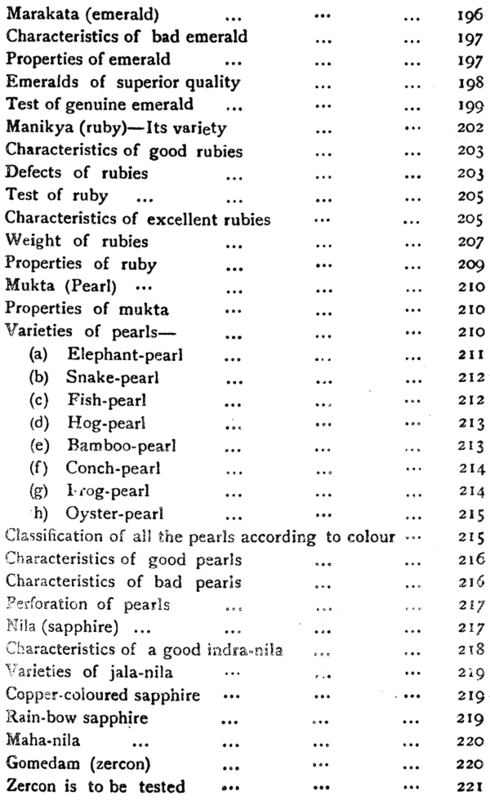 Most of these books have completely been lost; those which are extant are mostly very rare, and not very intelligible. The present book is based on many of those which are still extant, and have been collected carefully. It is written by the grace of the conqueror of death at the great city of Kalikshetra (Calcutta) in the year 5026 of the perverted Kalijuga. 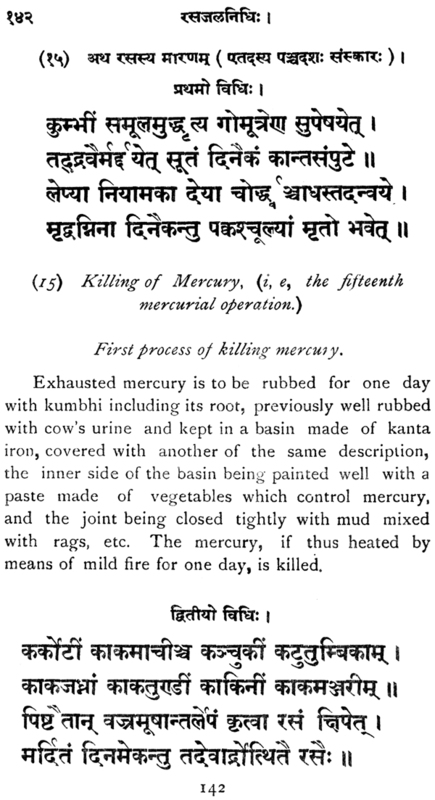 Treatment of diseases by Rasa (mercury), gems, metals etc is divine; that by incantations and vegetable drugs human; and that by surgical instruments diabolical. 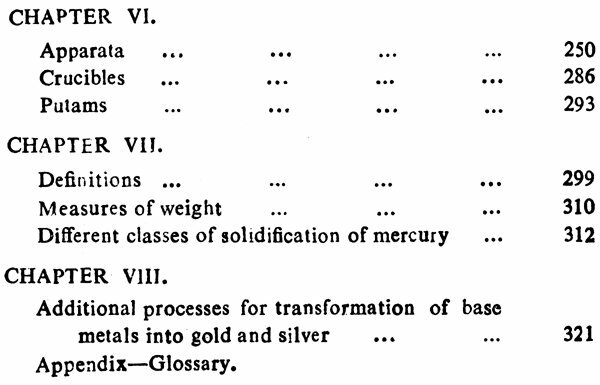 Metallurgy is therefore to be learnt very carefully. 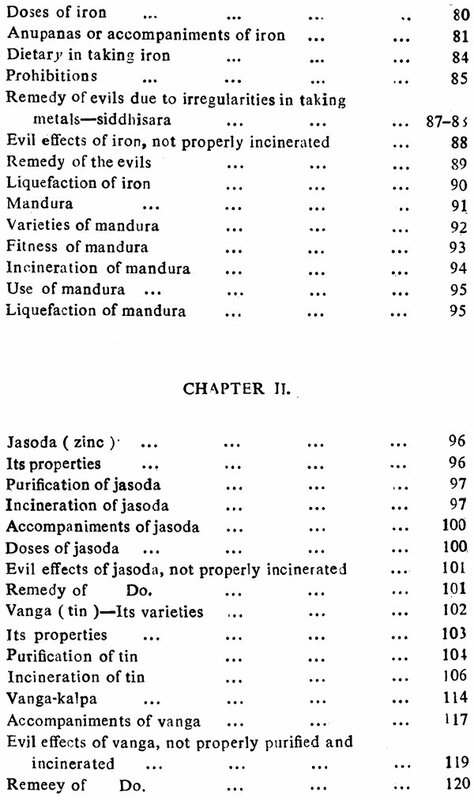 The publication of the present volume has well-nigh brought to close that part of the Rasa- Vidya (or the science of the minerals in all their aspects, viz., medicinal, alchemical, and industrial) which should be considered to be an introduction to the study of a pharmacopoea of drugs prepared mainly from minerals-a pharmacopoea of a colossal magnitude, prepared, in pre-historic times, by the ancient Indians. 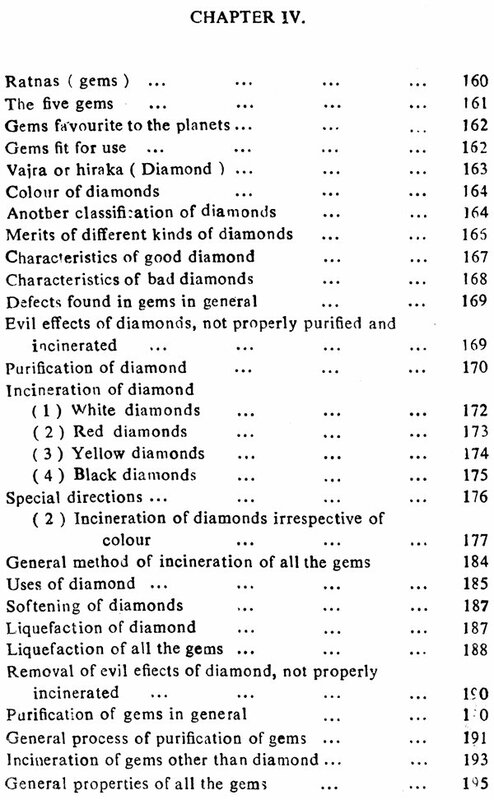 Much of the materials, originally intended to be dealt with in the first three volumes, are left out for treatment in a subsequent volume. 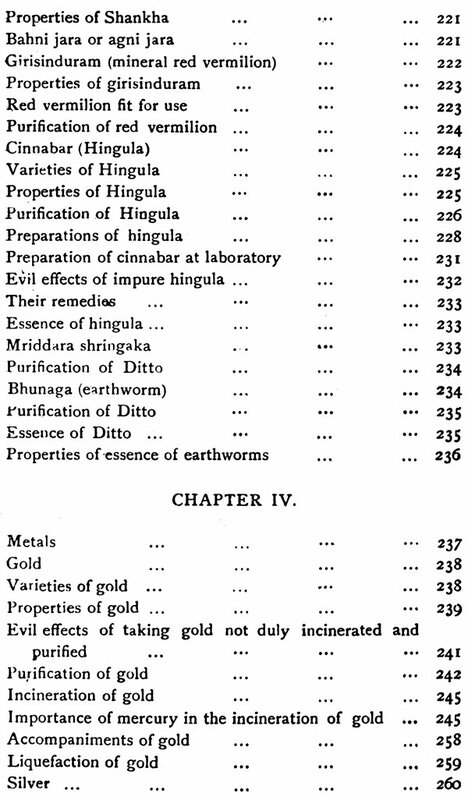 The fourth and a few of the succeeding volumes would be mainly devoted to the study of recipes most of whom would be found to be astonishingly infallible. 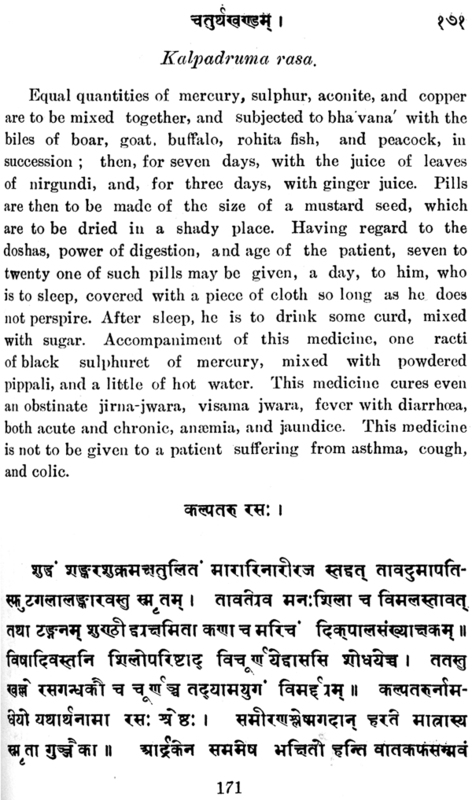 It is not possible for me to make my readers realise the nature of the labour which J, a busy medical practitioner, have been undergoing in carrying on a prolonged research on a highly abstruse and almost forgotten science, without any assistance, financial or otherwise, either from the state or from anybody else. The sympathy with which the loves of culture all over the world have been viewing the present publication has been the main force which has hitherto enabled me to sustain my energy and to hope for a completion of the work put in hand. 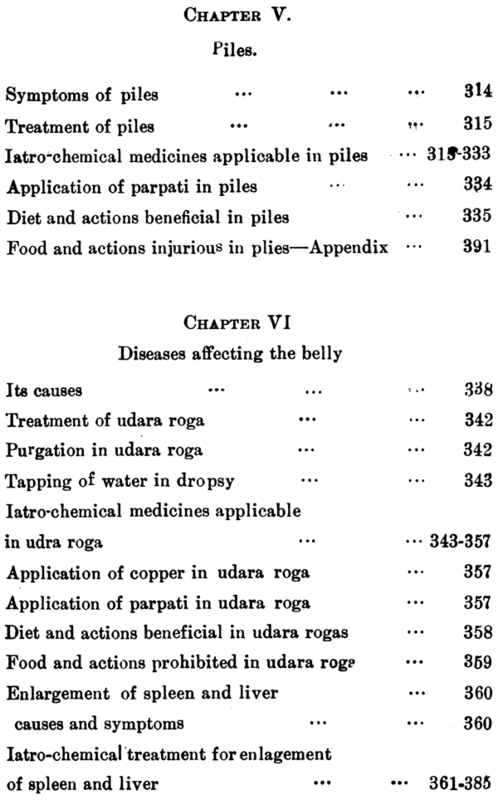 I t is gratifying to note that my works are already being studied by almost all the eminent Ayurvedic physicians all over India, but the majority of the students of Ayurveda in the colleges have not yet had an opportunity to acquaint themselves with the contents of these books (which cover the greater and the better part of Ayurveda) much of which was hitherto unknown to the world. 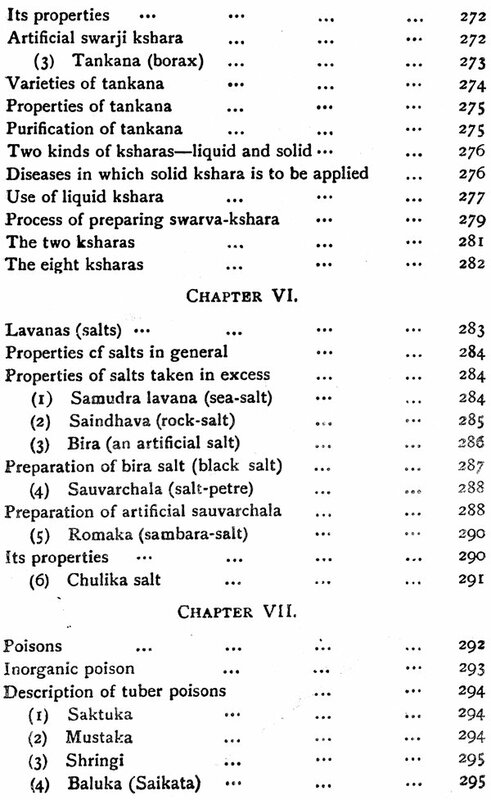 I know that there is a paucity of teachers who can efficiently teach this the most important branch of Ayurvedic studies, but I am confident that a gradual spread of the knowledge contained in the present publication will go a great way in removing this paucity at a near future. 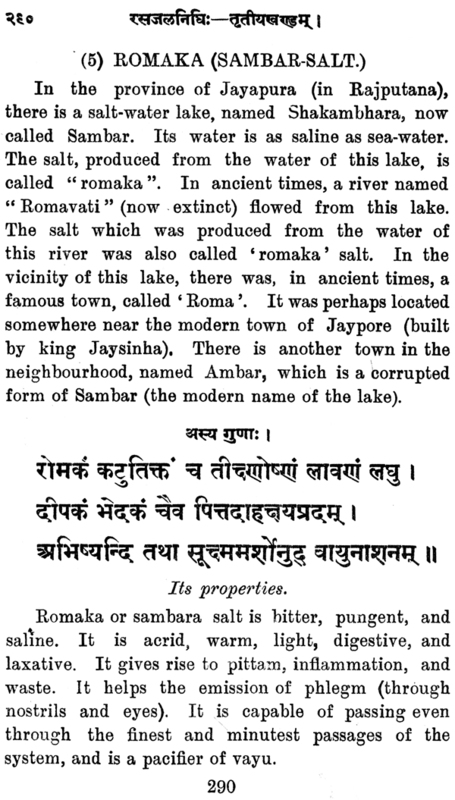 I am thankful to Prof. Berthold Laufer of the Field Museum of National History, Chikago, and some other scholars for their suggestion to adopt the commonly accepted practice of transliteration of Sanskrit names into Roman characters. I have decided to act up to their suggestion from Vol. IV, which has already been sent to the press. There are scholars who are more interested in the history of a science than in the science itself. 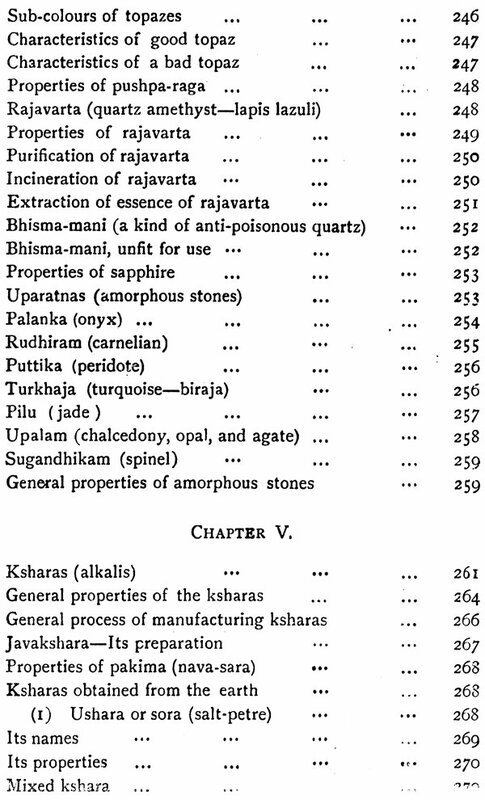 For the satisfaction of such scholars, I have dealt briefly with the history of Hindu chemistry in a chapter in my newly published work, entitled "Indian Civilization and its Antiquity" (Price Rs. 2-India). 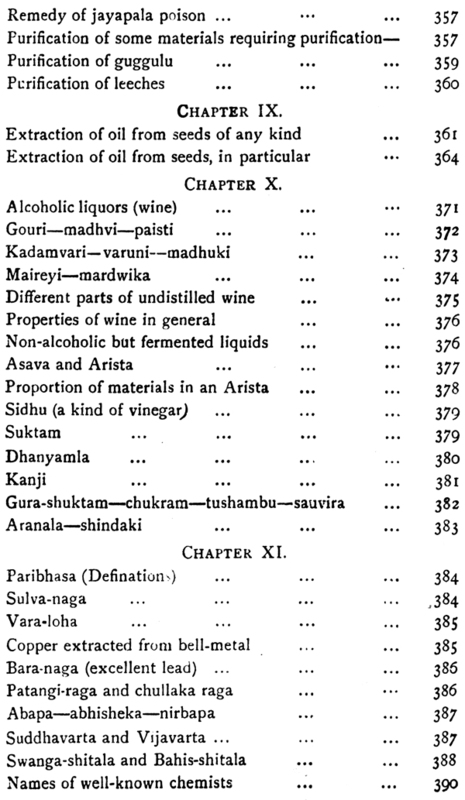 I cannot conclude the present volume without a reference to the encouragement which I have received from men of eminence connected with the spread of Ayurvedic education in this country, and especially from the Hon'ble Mr. Justice Manmatha Nath Mookerji of the Calcutta High Court (President, Astanga Ayurved College, Calcutta) and from the ate Mr. Justice Gokarna Nath Misra of Lucknow. I am also thankful to Mr. H. E. Stapleton, M. A. I.E.S., Director of Public Instruction, Bengal, for his kindly taking an interest in my publications. I am much obliged to Professors Satkari Mookerji, M. A. and Kshitish Chandra Chatterji, M. A., (both belonging to the Department of Post Graduate classes in Sanskrit, Calcutta University) for the help they have ungrudgingly rendered to me in correcting the proof sheets and for several suggestions received from them. 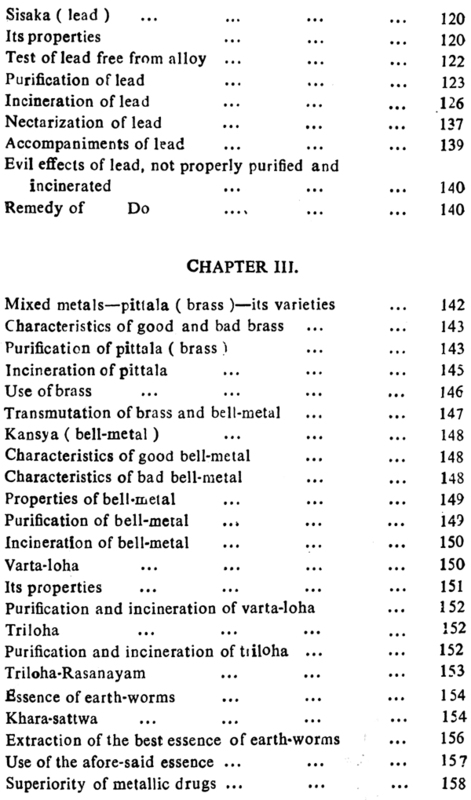 The keenness of interest with which the publication of the present volume has all along been watched by Kaviraj Jatindranath Ghosal Kaviratna, Kaviraj Birindra Mohun Chand Ray B. A., Sj Debi Charan Ghosal and some other pupils of mine needs a special mention. Vol. 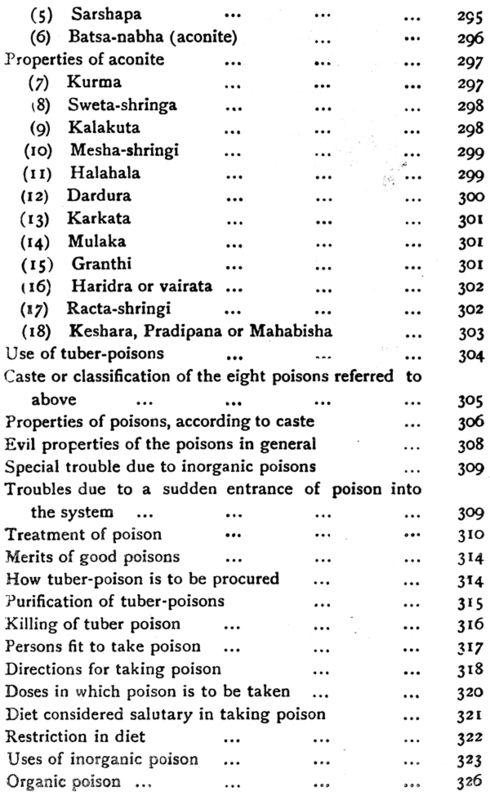 111 of Rasa-jala-nidhi was published as far back as December 1929. The present volume is published after more than six years. This undue delay is due to my shortness of leisure and ill-health owing to hard labour. I have, however, by grace of God, recovered my normal state of health and am in a position to proceed with the publication of the remaining volumes. Vol. v has already been sent to the press, and is expected to be out in six months. 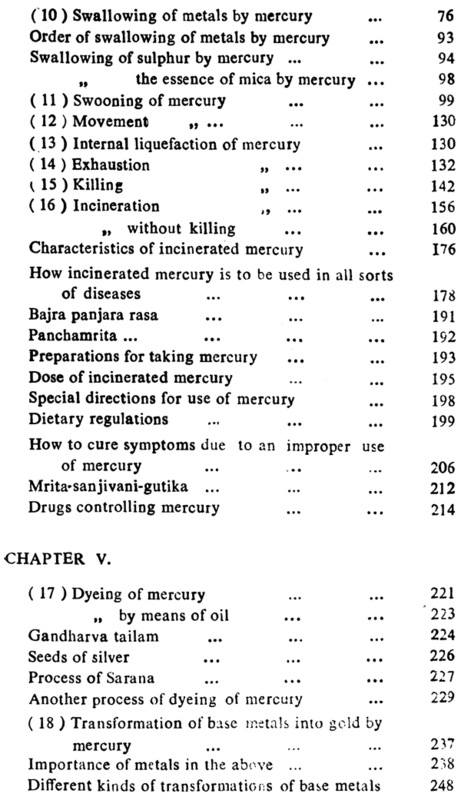 It has already been stated that the Rasa-chikitsa-vidya or the science of Iatro chemistry, as dealt with in the present publication. is the best part of the science of Ayurveda ( i, e, the indigenous system of medical science prevalent in India.) 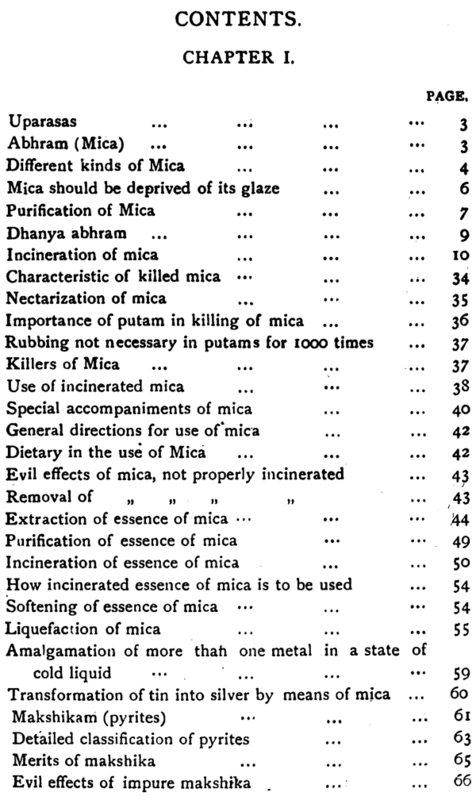 The present state of degradation of the followers of this science is due to Rasa-chikitsa'-vidya being almost forgtten under circumstances referred to in the preface of vol. 1. This is a perfect system of medical science. 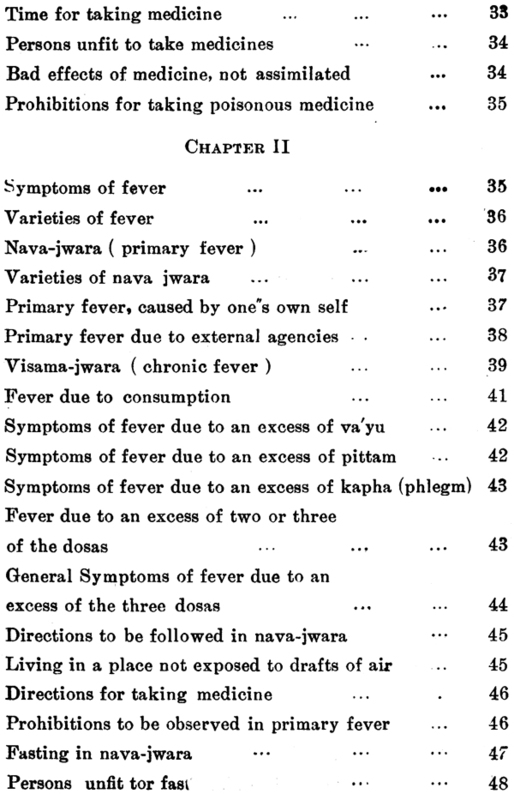 No disease is incurable with the adept votaries of this science. 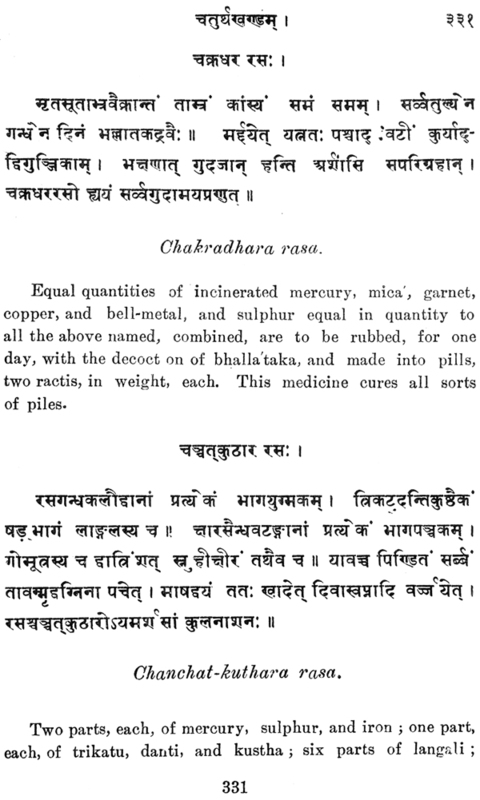 It has been possible for me to cure, 'by means of the knowledge constituting in this revived science, innumerable cases (the majority of which were given up as incurable by the leading physicians of Bengal) of phthisis, cancer. 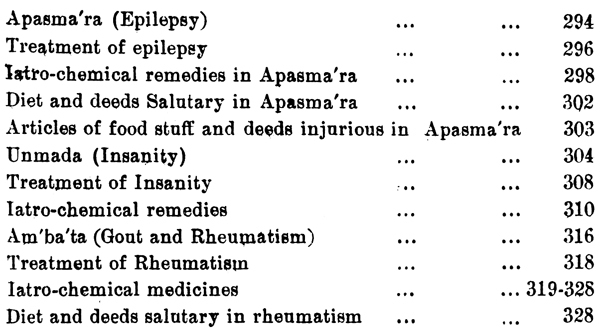 leprosy, asthma, and other diseases, generally considered incurable. 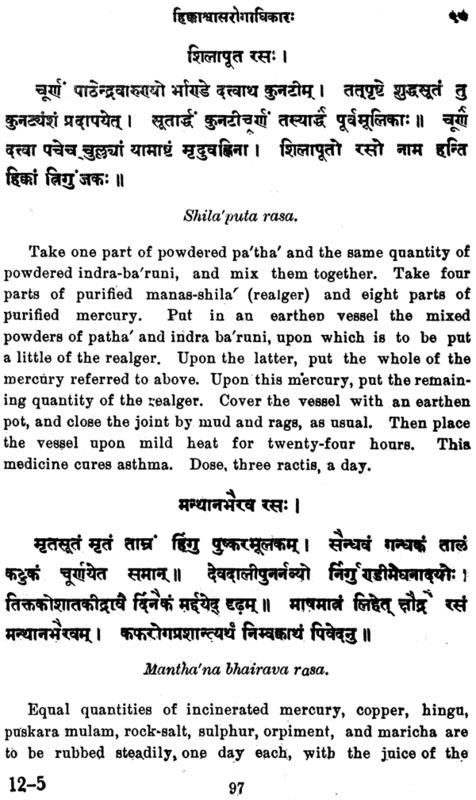 I would request physicians all over the world to try the recipes, given in my books, in accordance with the procedure laid down. I am confident. They will recieve immense satisfaction, if they do so. So far as India is concerned, the prospect about the revival of this science is awfully gloomy. 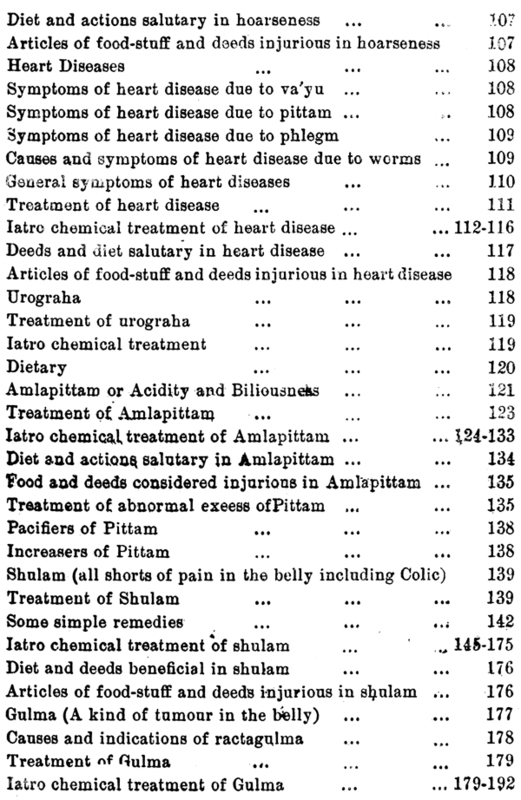 There is every reason to apprehend that al I that is best in the real science of Ayurveda is going to die out in course of the next twenty years. 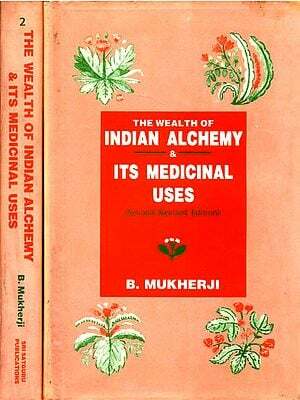 It is a poor apologia of Ayurveda and not Ayurveda proper that is being taught in the so-called colleges of Ayurveda, established all over India. This is a remark which I made several years ago in the preface of vol 1 and I am sorry to say that nothing has happened in the meantime to make me change my views. The majority of the students receiving diplomas from these colleges have failed to prove successful physicians and have brought discredit not only on themselves but on the science u well. There is another very strong menace to the revival of Ayurveda. 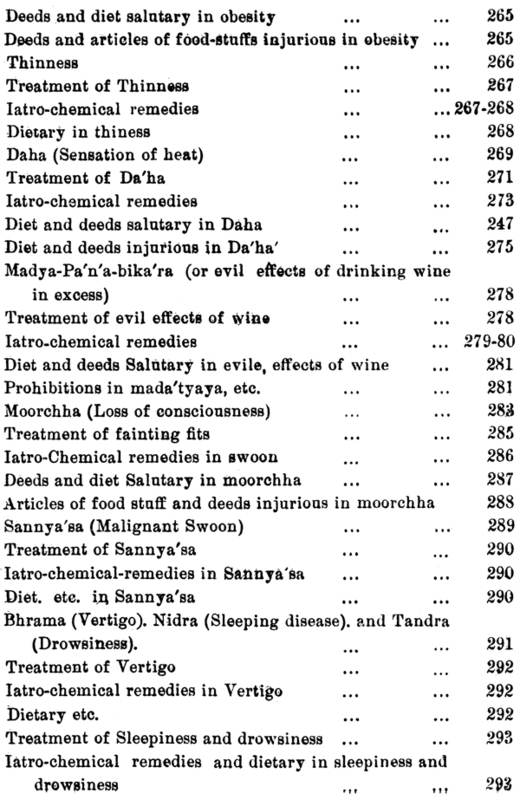 Some Allopaths have taken to the profession of Ayurvedic physicians. 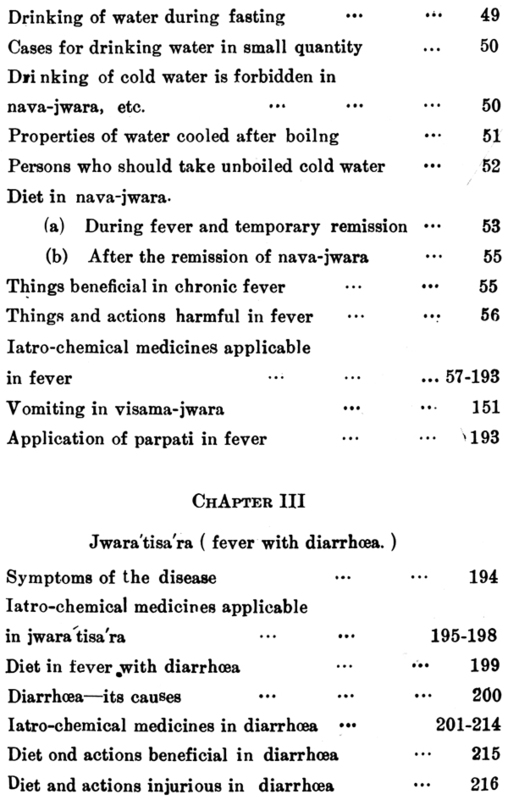 Some of them have done so without properly acquainting themselves with the science of Ayurveda. 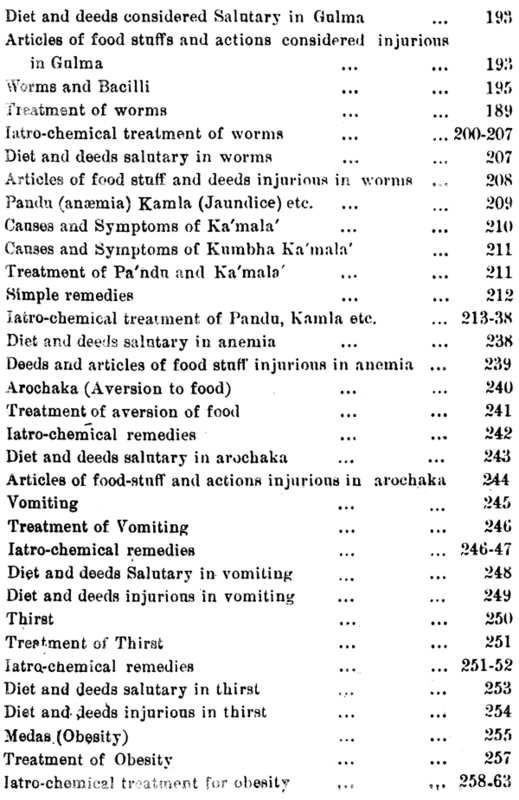 No wonder that a few of them have been preaching from the platform and through the press, the desirability of commingling Allopathy with Ayurveda without trying to revive Ayurveda proper. It is not the place to dwell upon, in details, the gravity of the mischief done to the cause of Ayurveda by those physicians who are not ashamed of advertising their attitude and misleading the lay public including young students of Ayurveda. May God let good sense dawn upon these gentlemen. 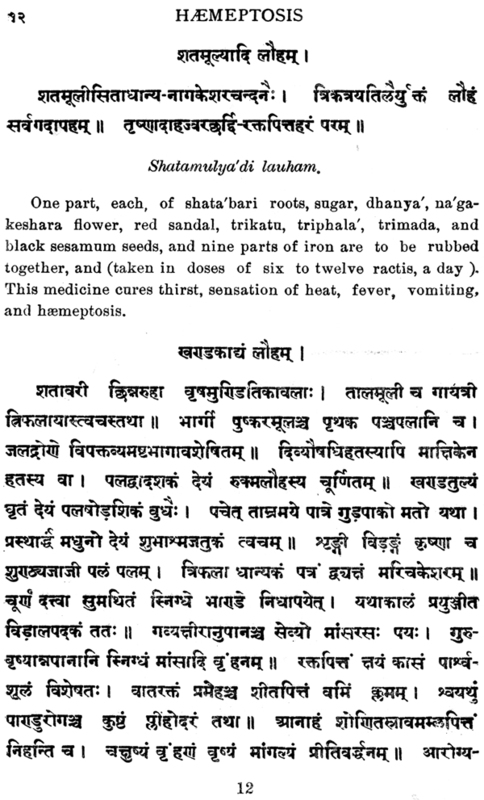 They are not perhaps aware of the fact that Allopathy is not yet a science at all but is still in the making; and Ayurveda cannot profit by borrowing from Allopathy. 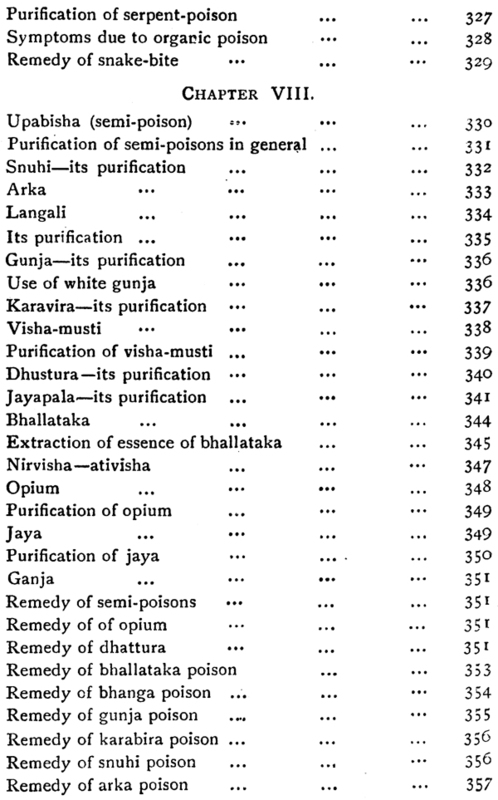 All that is really required to restore this neglected science of Ayurveda to its ancient glory is the master that part of the science which is dealt with in my publication as well as the rudiments of Ayurveda as dealt with in Charaka, Sushruta, and Bha'vapraka'sha. Prof. Evans, Fellow of the Royal college, London:- "The medical practice of our day is, at the best, a most uncertain and unsatisfactory system. It has neither philosophy nor common sense to commend it to confidence." Benjamin Rush, M. D. Professor in the First Medical College, Philadelphia-"Dissections daily convince us of our ignorance of disese, and cause us to blush at our prescriptions. What mischiefs have we not done under the belief of false facts and false theories? We have assisted in multiplying disease, we have done more, we have increased their fatality." Prof. Gregory of Edinburgh, Scotland:-"Gentle-men, ninety-nine out of a hundred medical facts are medical lies; and medical doctrines are, for the most part, stark, staring nonsense." 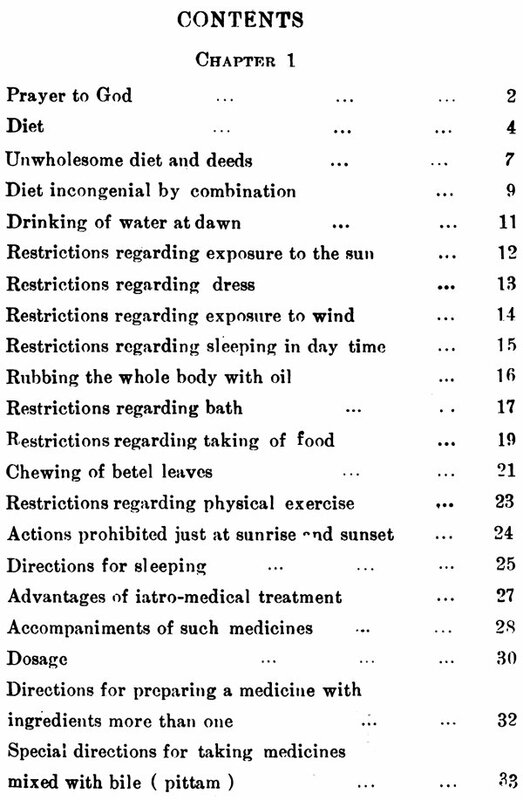 Dr. Ramage of Royal College, London:- “It cannot be denied that the present system of medicine is a burning shame to its professors, if indeed a series of vague and uncertain incongruities deserves to be entitled by that name. How rarely do our medicines do good. How often do they make our patients really worse. I fearlessly assert that in most cases the sufferer would be safer without a physician than with, one. I have seen enough1of the malpractice of my professional brethern to warrant the strong language I employ." 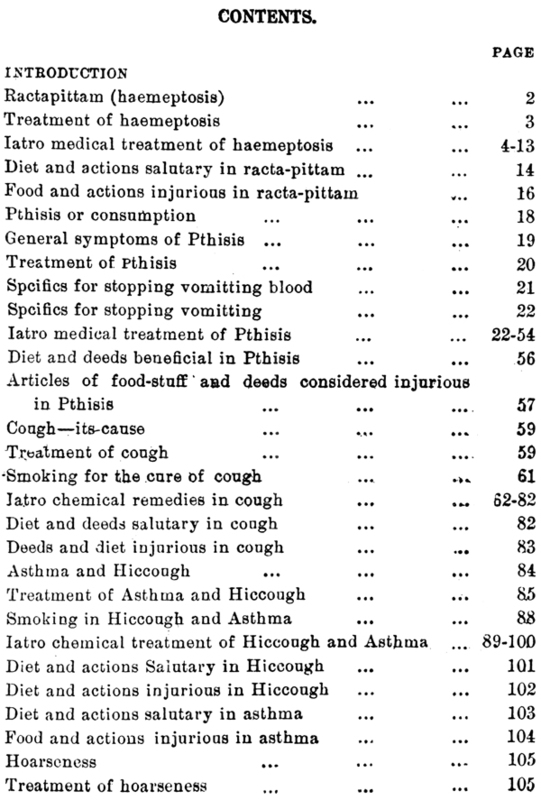 Dublin Medical Journal-" Assuredly the uncertain and most unsatisfactory art that we call medical science, is no science at all; but a jumble of inconsistent opinions, of conclusions hastily and often incorrectly drawn; of facts misunderstood or perverted; of comparisons without analogy; of hypotheses without reason; and theories not only useless but dangerous,"